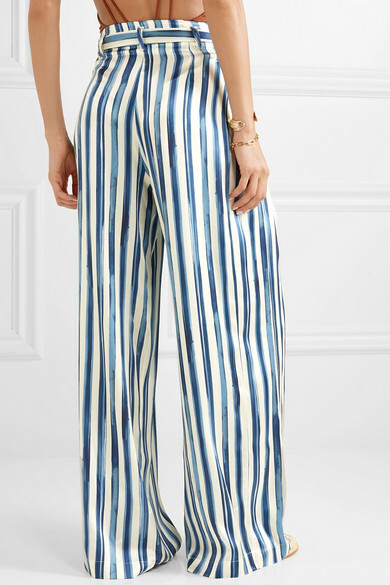 we are LEONE's 'Luke' pants have the same fluidity and ease as the label's beautiful robes. 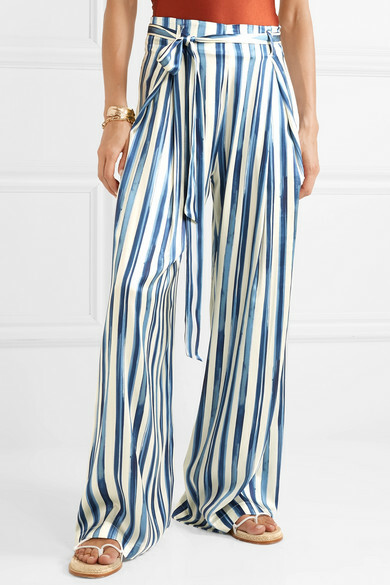 Made from stretch-silk satin printed with watercolor-inspired stripes, they sit high your waist before falling to an exaggerated wide-leg silhouette. 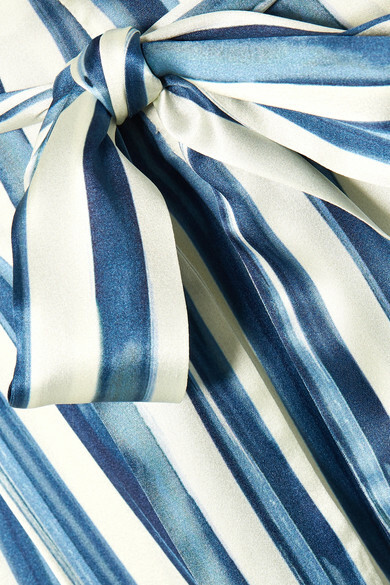 Pair yours with the matching 'Eric' shirt and use the self-tie belt to define the smallest part of your frame. 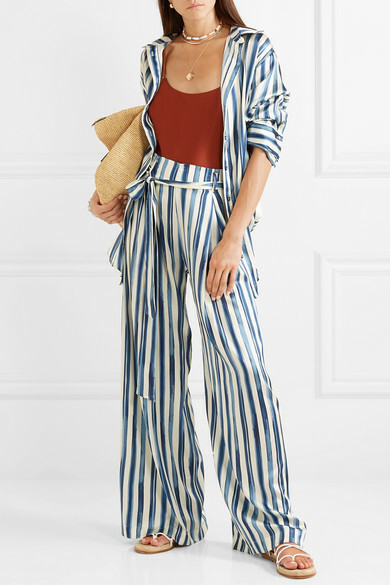 Shown here with: Jade Swim Swimsuit, Loewe Tote, Paul Andrew Sandals, Sophie Buhai Earrings, Alighieri Necklace, WALD Berlin Necklace, Roxanne Assoulin Necklace.